Moviemakers are constantly reinventing classic monsters, this year alone has seen Godzilla and Dracula Untold, along with a number of other vampire movies. Now a new Frankenstein flick is in the works. 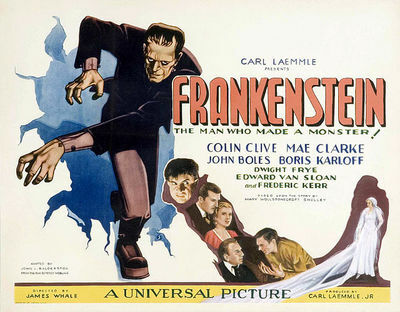 Who is your favourite classic monster? Which remake did you love best? Dr Jekyl and Mr Hyde; Creature from the black Lagoon -I like several of these old ones and would be interesting to see how they would make these nowadays. I normally don't like this type of movie but the older ones before all the cinema graphics/computer etc were often very good -Also loved Hunchback of Notre Dame however this is perhaps not a "horror" movie? My favourite movie monster is probably Dracula, but I am kind of tired of seeing so many Dracula/vampire stories. I would be interested in seeing some that aren't explored as much, such as Frankenstein and mummies. I also like Finy's choice of Dr Jekyl/Mr Hyde. I like vampire movies best, at least when they done right which is a rarity. The thing is, when a vampire movie is done right, it's a really really good story, and beats out all the rest for me. There is something truly creepy and dramatic about Dracula that other classic monsters lack.